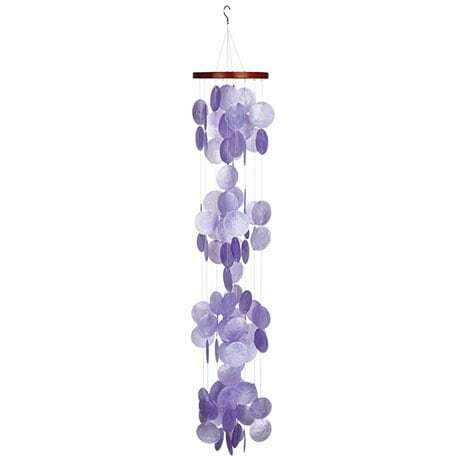 A cascade of lavender and orchid colors, swirling to create a gentle cacophony of delicate sounds. 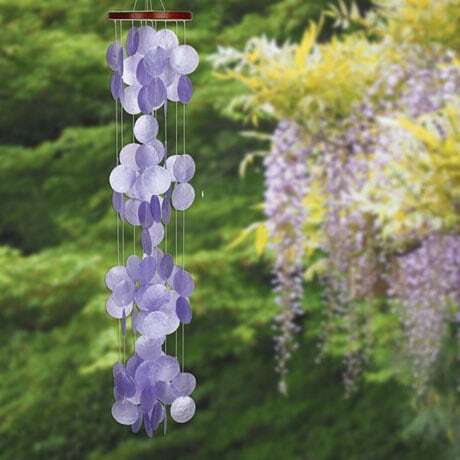 Farmed capiz shells are carefully dried, shaped and sanded to make the most of their luminous presence; the layered arrangement of the strings lets the translucent pieces layer over each other for beautiful eff ects. Handcrafted in Bali. Hangs 40".